Jim is the owner and Broker of Cormorant Realty. He has been a Realtor since 1993. He was in the residential construction industry with his father and brothers for 25 years. They built many beautiful lake homes throughout the area. Jim is a lifelong resident of the Cormorant Lakes area. 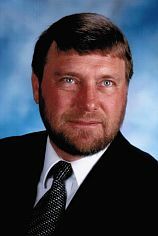 He currently serves on the Becker County Planning Commission and is a member of the Cormorant Lions. He has served on several community organizations previously; Lake Park School Board, Lakes Country Association Board of Directors and the Minnesota Association of Realtors Board of Directors. Jim will provide a smooth, stress free transaction from start to finish.